Easy Whipped Dark Chocolate Mousse - Chocolate Chocolate and More! 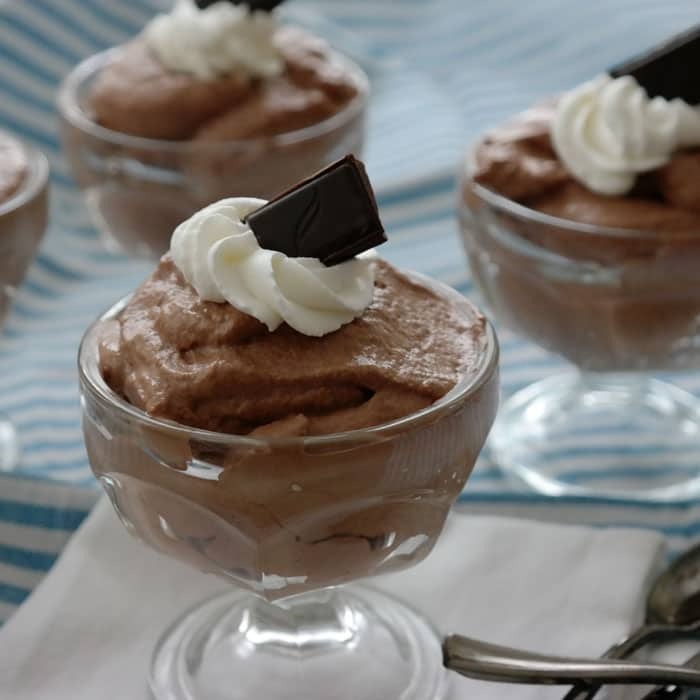 Easy Whipped Dark Chocolate Mousse – just 3 ingredients to create this delicate dessert. The secret is using good dark chocolate! 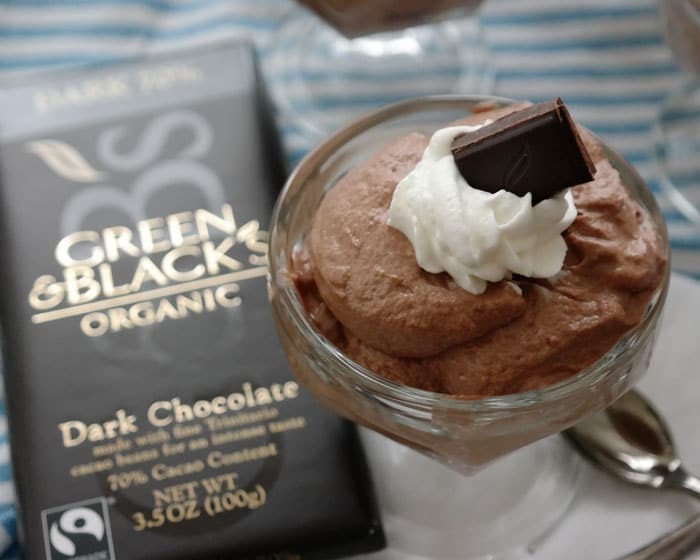 GREEN & BLACK’S ORGANIC 70% Dark Chocolate makes this dessert decadent! 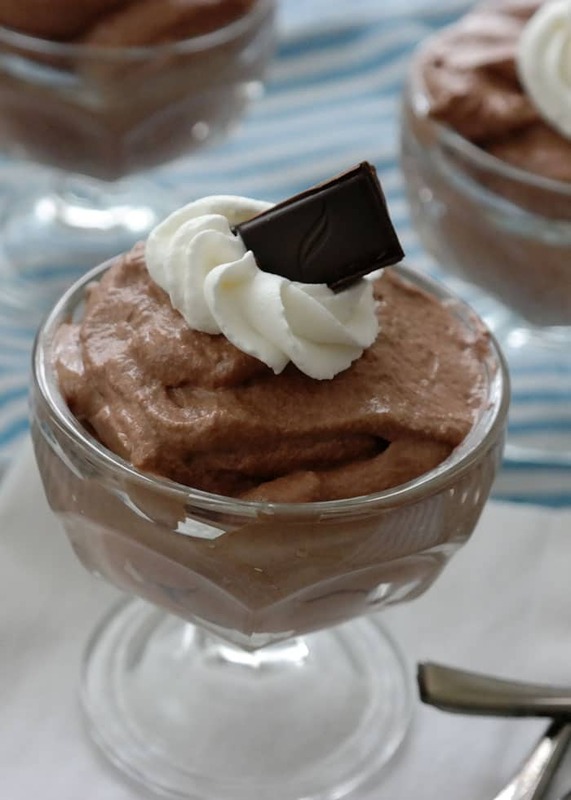 You’ll want to save room for dessert with this Whipped Chocolate Mousse on the menu! As the holidays approach, it’s a time for parties, family dinners; food is everywhere. By the time dessert comes around, everyone is holding their bellies and the phrase, “I’m stuffed” is echoed up and down the table. No one wants a heavy dessert like pie or cake. This Dark Chocolate Mousse is the answer. It’s made with good chocolate and good cream. Rich in flavor thanks to GREEN & BLACK’S ORGANIC 70% Dark Chocolate. Green & Black’s Chocolate is both organic and fair trade certified. You could use any of the flavors for this mousse. Starting with the best ingredients always produces the best results. Just create a simple ganache. The secret is letting the chocolate seep in the hot cream for a few minutes before stirring. The heat gently breaks down the chocolate creating a smooth, creamy sauce. Then take on the cream. I use my hand mixer and beat on a low speed, constantly moving around the bowl, to ensure even whipping. Be careful not to overbeat or you end up with butter. When you get to the firm ripple stage is when you want to stop. Then it’s time for some magic. Add the cooled ganache to your whipped cream and gently fold it in. Just look at that gorgeousness! This mousse makes a great make-ahead dessert. Make sure to garnish with a square of GREEN & BLACK’S ORGANIC Chocolate, the swirl will let your guest know this dessert is worth it! Be sure to check out below the recipe for details on winning your own Green & Black Organic prize pack.Connect with Chocolate, Chocolate and More! Reserving 9 squares, break Green & Black Dark Chocolate bars into squares, place in a medium bowl. Heat 3/4 cup heavy whipping cream to almost boiling, either in the microwave or on the stovetop. Create a ganache-Pour heated cream over chocolate and let sit for 3-4 minutes. Once time has elapsed, gently stir chocolate until chocolate is completely melted, cream is combined and chocolate is smooth. Set aside to cool. Place 2 1/4 cups cold whipping cream in a large bowl. Add powdered sugar and mix on medium-low speed until soft peaks start to form. Turn mixer to low and continue to beat until stiff peaks form. 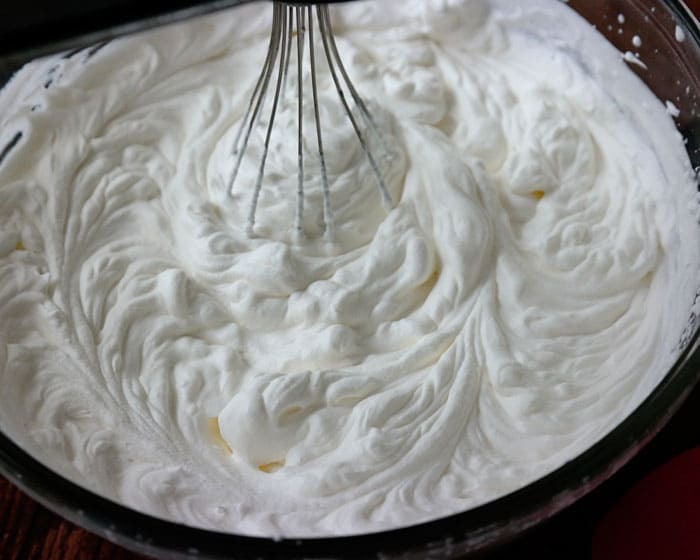 Remove one cup of prepared whipped cream to another small bowl to reserve as garnish. Refrigerate. Take one cup of prepared whipped cream and fold into chocolate ganache. 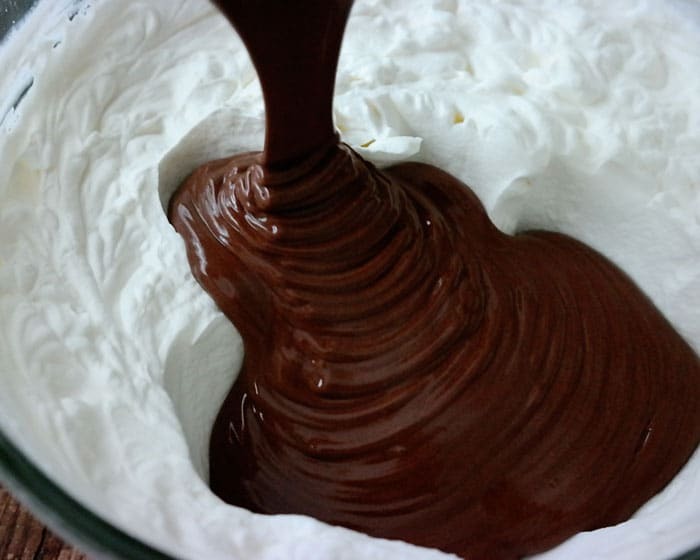 Once cream is fully incorporated into ganache, add ganache to remaining whipped cream in large bowl and gently fold until completely incorporated and smooth. Cover and refrigerate for 1 hour (or more) until ready to serve. 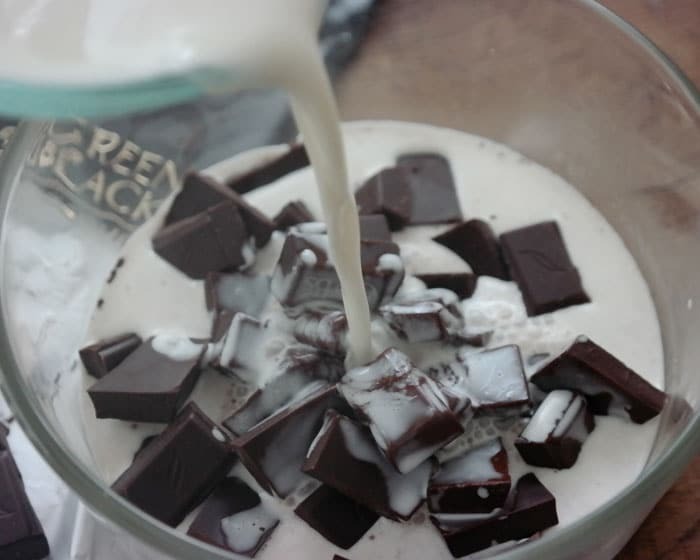 To serve, place prepared chocolate mouse in bottom of serving dish, top with a healthy teaspoon of whipped cream then add one Green & Black Dark Chocolate square on top. For more information on GREEN & BLACK’S ORGANIC Chocolate you can find them on the Web, Facebook and Twitter. I love all the flavors but I’m partial to the Dark Chocolate, what’s your favorite Chocolate? Dark, Milk, White? Tell me in the comments for a chance to win a $100 cash equivalent gift card plus a GREEN & BLACK’S ORGANIC Chocolate prize pack! This is a sponsored post on behalf of BlogHer and GREEN & BLACK’S ORGANIC Chocolate, all opinions are my own and I only share things I truly love. This sweepstakes runs from 11/16/2015 – 12/19/2015. Be sure to visit the Green & Black’s Organic Chocolate brand page on BlogHer.com where you can read other bloggers’ posts! It’s a tie between dark and milk. I know dark is better for me, but milk is so creamy and rich. Thanks for this AMAZING giveaway! I’m already dreaming of what I’ll buy with my gift card. I love all varieties of chocolate! I love milk chocolate for baking and dark chocolate for eating for the health benefits. 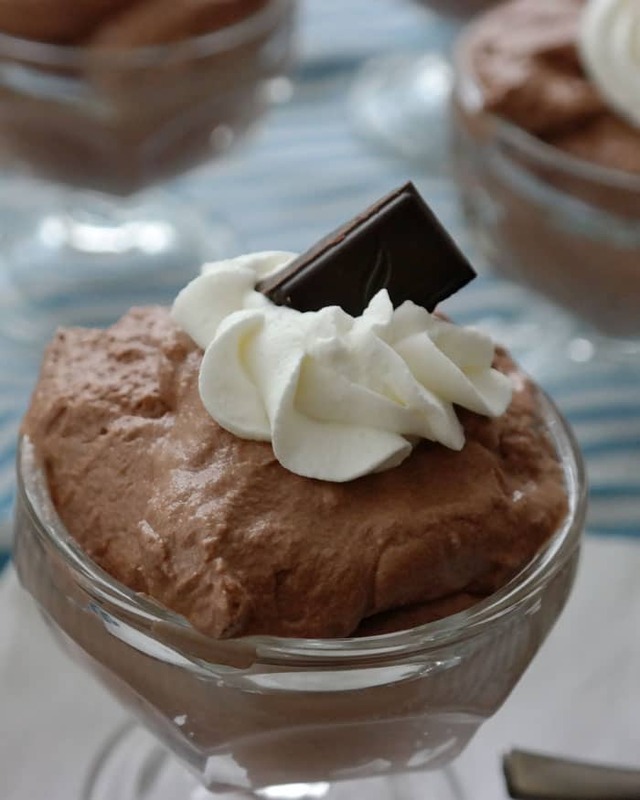 I love your easy Whipped Chocolate Mousse recipe and would be willing to try it with dark chocolate. Thanks for the recipe. Your mousse looks so delicious. Milk chocolate is my favorite, especially with almonds. I love milk chocolate. Or a piece of white chocolate and milk chocolate melting together. Very meditative. This recipe looks easy and yummy. Love Chocolate mousse. I had never heard of this brand of Chocolate before but I sure will be looking for it now. I make a cake called Death by Chocolate that takes a lot of Chocolate mousse so having and easy recipe will be great. Thank for sharring. My favorite is dark chocolate I love it especially during the holidays. I am always a dark chocolate fan! My favorite has always been dark chocolate, and my little man loves it, too! Dark chocolate is my favorite!! I love dark chocolate and now that I know about antioxidants in it, I just say it is good for me. I’m a dark chocolate lover but I enjoy a bit of milk chocolate on occasion. 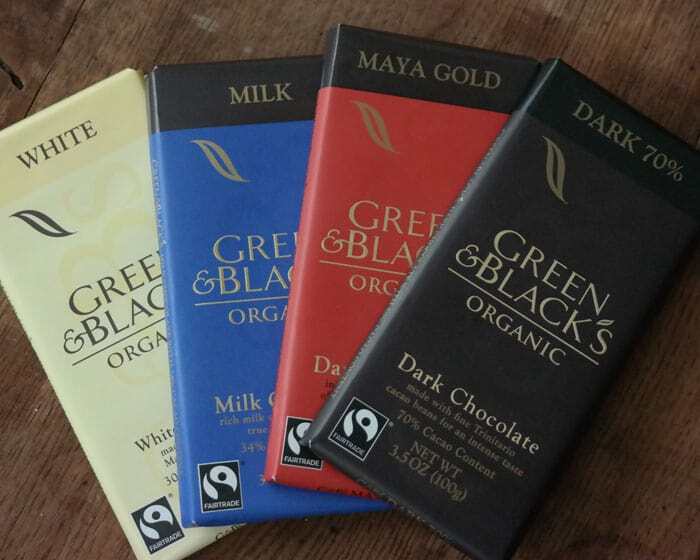 Your post caught my eye because the Maya Gold dark chocolate bar from Green & Black is one of my current favorites. I love the combination of the orange with the mild spice flavor. I’m a dark chocolate kind of girl. Dark chocolate is ALWAYS the best, especially for a wonderful mousse like this! Love milk chocolate, but if it’s paired with mint then it’s dark chocolate all the way! I love Milk Chocolate, but I NEVER turn down GOOD dark chocolate! I’m wondering how long this will keep. Can it be made a day or two ahead, or does it need to be made the same day? I like Dark Chocolate the best also, used to hate it! My feeling is that the dark chocolate is much for satisfying which means I have to eat less. My favorite way to bake with chocolate is dark chocolate stout cake with chocolate buttercream, yes I am a chocoholic and not afraid to admit it! I love love love dark chocolate! 🙂 Actually, my whole family loves dark chocolate, including the kids. hehe…thanks for hosting the giveaway. I love dark chocolate. Especially in hot chocolate! My favorite chocolate is dark because I tend to not overeat it as I do with the sweeter milk chocolate. White chocolate is a close second, however. I strongly prefer milk chocolate. My favorite chocolate is Milk Chocolate. Dark is okay to me and sometimes white chocolate but I could eat milk chocolate all day. My favorite is milk, but I’m starting to like white chocolate more and more! Dark chocolate is my favorite, milk chocolate is next. I think white chocolate is some kind of candy, but definitely not chocolate. Not a fan.